This may be the last snowfall of the season and in honor of that I am going to do several updates this evening for those of you weather nerds (like me) that want to see the latest data. 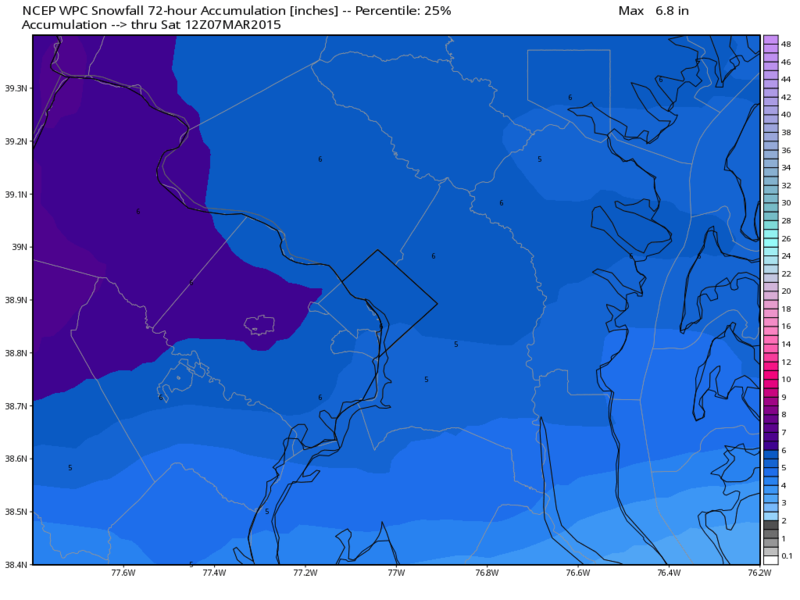 Pretend you are a meteorologist here in the Nation’s Capital. 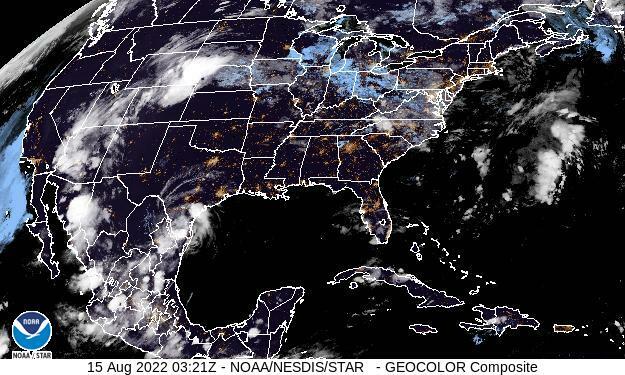 You have a large viewing audience, your forecast will either have people singing your praises tomorrow or cursing you. Let’s take a look at the latest probabilities from WPC (Weather Prediction Center). Notice how there isn’t a whole lot of spread at any one location in snowfall totals between the three maps (a difference of maybe 3 to 4″). 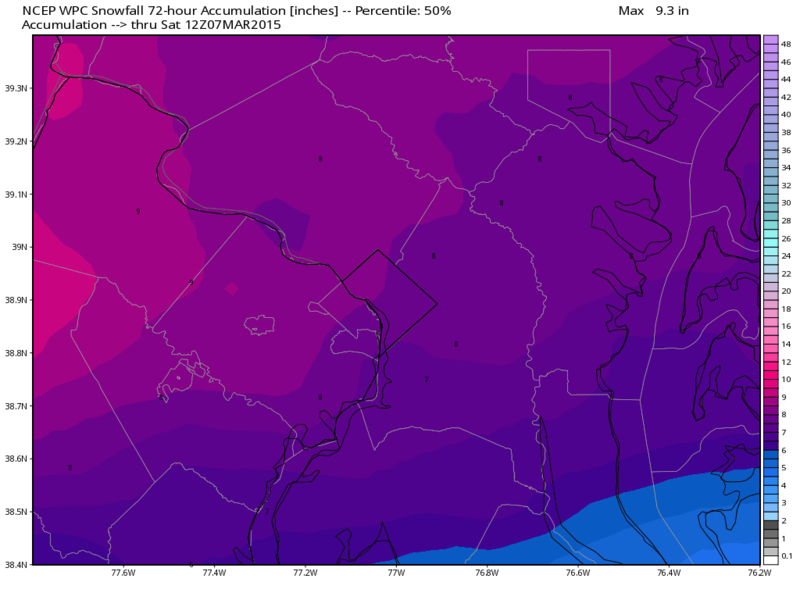 For downtown Washington the reason 10″ isn’t being forecasted is because you have to take into account some sleet falling initially and some initial melting until ground temperatures drop below freezing. 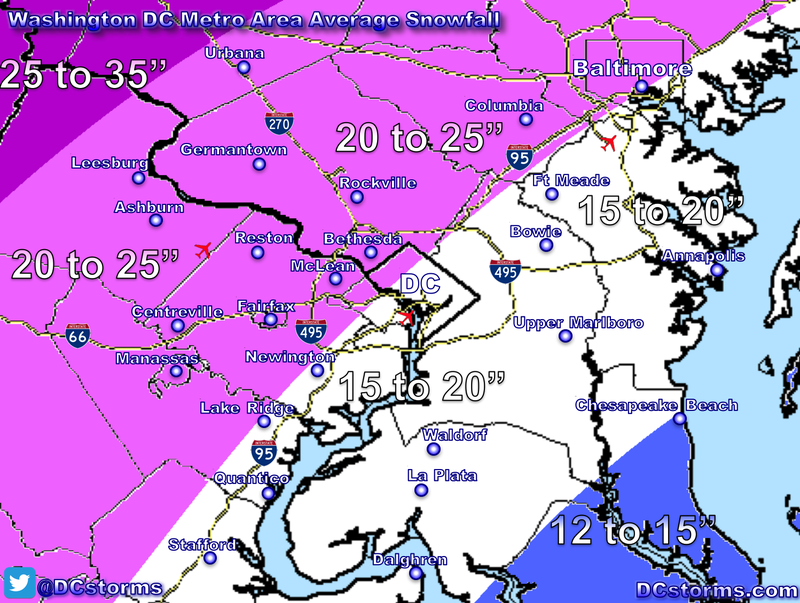 I can see National Airport hitting that 5 or 6″ mark. 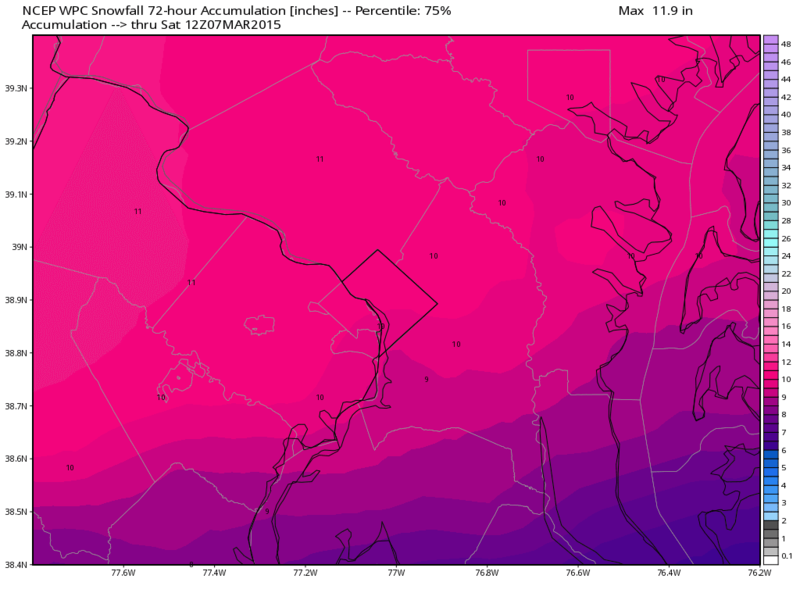 Again, I may be wrong, but this may wind up being the biggest storm Downtown Washington has seen all winter (last one being 4.7″). Immediate suburbs… this storm means business, have the shovels and snow blowers ready… not the brooms. 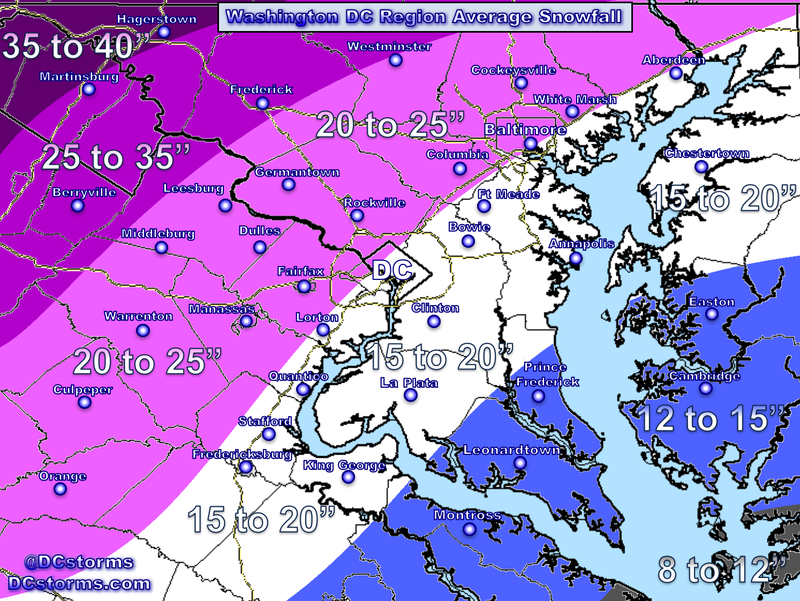 Next Post How Much Snow Will Fall in Your Neighborhood?